Oppo devices are very well known for their selfies. Oppo F7 is another one of those selfie devices which comes with great cameras. Speaking of performance, you&apos;ll not feel any problems in performance. Oppo F7 so far is giving me a great performance. The smartphone is meant for the selfie users who click selfies very often. The smartphone comes with AI beauty which adds up to the great camera performance. The design, on the other hand, is not that great I mean it doesn&apos;t feel premium at all which it should at this price point. Coming to performance, I loved the cameras, battery life, and overall performance. UI, on the other hand, is what I don&apos;t really like. 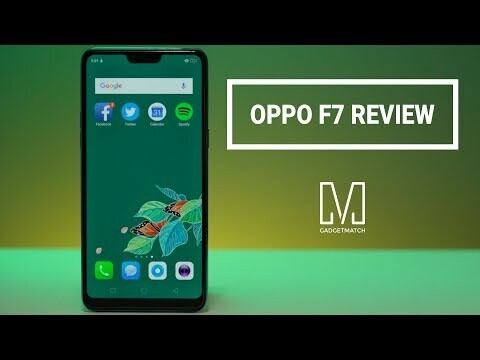 The Oppo F7 is a device which you can go with if you want best camera performance. The smartphone comes with a good display with a notch design with bright and vivid colors. As far as the build is a concerned, the smartphone looks premium somewhat. Other than that, you&apos;ll still get decent performance with good battery life. The 128GB variant would be a perfect choice if you want extra storage space lying around. An all-round smartphone which is perfect for those who want decent cameras and performance packed inside. It runs on the latest processor giving you a great performance. OPPO devices are fantastic when it comes to cameras and this one is no exception. It also has a decent battery capacity which gives you an entire day of juice. You might not like the Custom UI. Battery - Above average , works for more than 1 and half day for general use. 11 Pricebaba users have written their experience with Oppo F7 128GB. If you own Oppo F7 128GB, please do leave your feedback too. On the front, the Oppo F7 sports a large 6.23-inch bezel-less display. It bears a resolution of 2280 x 1080 pixels. A Corning Gorilla Glass 5 is fitted on the top for protection against accidental damage and scratches. The F7 resembles an iPhone X like design with a notch on the top of screen. It features a glass and metal build. The fingerprint scanner is located on the back of device. The device ships in two attractive colors i.e. Sunrise Red and Silver. On the flip side, the Oppo F7 has a 16MP rear camera accompanied by an LED flash. It features Phase detection autofocus system for clicking better pictures. The front camera is the main highlight of this phone. It has a 25MP snapper for those who love clicking selfies. The rear camera is capable of recording 4K videos (2160p). In terms of performance, the F7 houses a 2GHz MediaTek Helio P60 octa-core processor. It is coupled with 6GB RAM and Mali graphics processor on board. You can expect seamless multitasking and smooth gaming performance. The device offers 128GB inbuilt storage. For additional storage, it can be expanded up to 256GB via card support. The F7 runs on Android 8.1 Oreo OS with custom ColorOS 5.0 skinned on the top. Powering this device is a 3400 mAh non-removable battery. The device functions as a dual SIM smartphone. It offers all the basic connectivity options like 4G LTE, 3G, 2G, WiFi, Bluetooth and VoLTE. 1. How is the camera for selfies? Ans: The Oppo F7 has a 25MP front camera which will give you great selfies. 2. What comes inside the box? Ans: Along with the device, you will get accessories like charger and cable separate, earphone, SIM ejector tool, cover, screen guard, user manual and a warranty card. 3. Does this phone work with Reliance Jio? Ans: Yes, Reliance Jio is compatible with this phone since it has VoLTE connectivity. 4. Does the phone offer 4k video recording? Ans: Yes, the Oppo F7 is capable of recording 4k videos.